The jura GIGA 5, perfection, precision, professionalism. The GIGA 5 sets a new standard in performance, aesthetics and perfection for the Coffee machine segment. Professional technology has found its way into the homes of people who demand the highest standards. 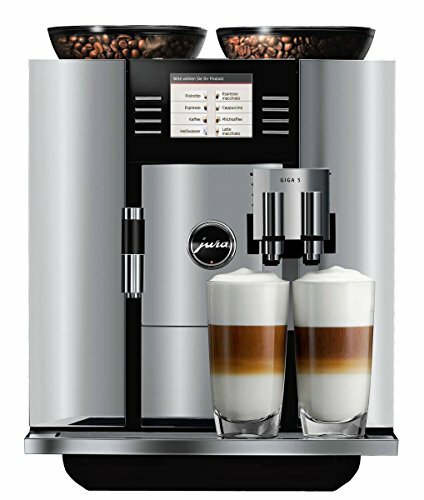 With the power of two grinders and two heating systems the machine produces two Coffee specialties at once, providing an unprecedented range of specialties and fulfilling the Coffee lover's every dream. The epitome of quality - doubled with the combined power of two grinders and two heating systems, the machine prepares every specialty Coffee to perfection.